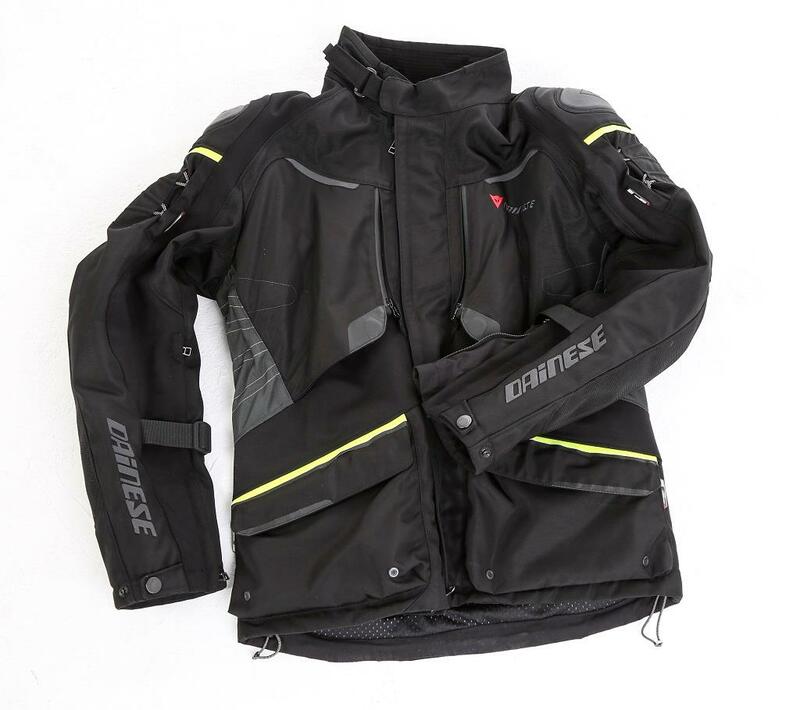 What’s good about the Dainese Ridder D1 jacket and trousers?
? I’ve used this two-piece Gore-Tex jacket and trousers through the worst of the winter and it has been brilliant at keeping me warm and dry despite sub-zero temperatures and torrential downpours. It sheds water so doesn’t get heavy and seems to dry off quite quickly too. The suit is expensive but brilliant. Under the zipped flaps on the front there’s a system where webbing pulls the arms tighter around the biceps to stop sleeves flapping. 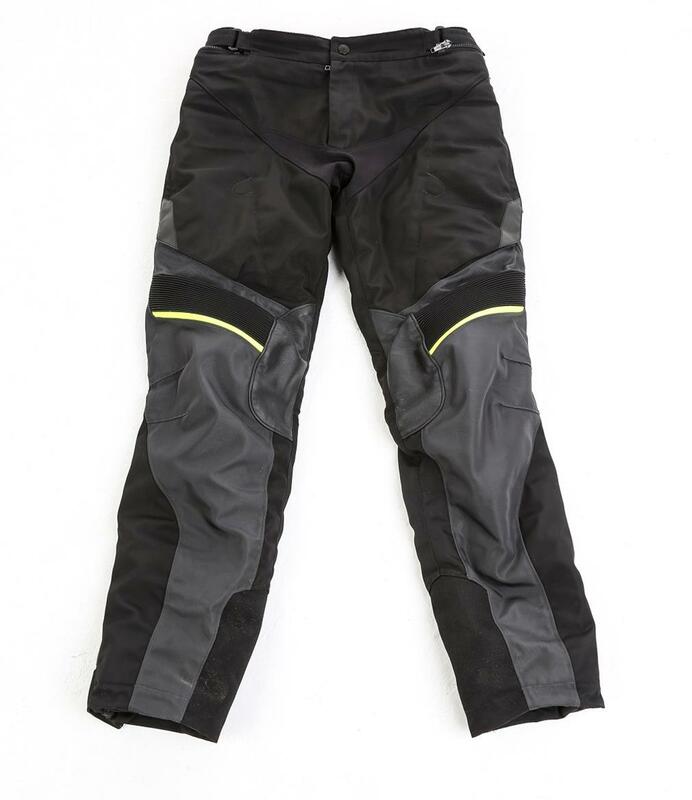 Both trousers and jacket have vents with magnets to hold the covers back to expose the mesh panels. The thermal liner of both parts is removable and there is plenty of armour for protection. There are no pockets on the trousers, which is a little bit annoying. The mesh liner tends to get tangled in the zip when I’m closing the zip to mate jacket and trousers together. I’m not convinced by the rear pocket on the jacket…it’s hard to reach so it seems a little pointless. Dainese Gore-Tex gloves and neck warmers for £1!